The most affordable longer-term path to embed mindfulness in your school or chain of schools is to train up one or more of your staff as ‘mindfulness leads’. The School Mindfulness Lead training is intended to help school staff to develop a more sustainable, in-house model for mindfulness training and development. The course prepares .b and Paws b teachers to lead the .b Foundations taster session and 8-session curriculum, but also to become a ‘mindfulness lead’ within the school or educational organisation where they are employed. PLEASE NOTE: This course does not train you to teach others to deliver the .b or Paws b curriculum. The School Mindfulness Lead course therefore feels more like a mindfulness retreat than a traditional teacher training course: the course is residential, and days are full and long, with attendees taking part in extended periods of guided and non-guided mindfulness practices. As with any mindfulness course or retreat, it may not therefore be for everyone. In particular, if you have recently experienced trauma or bereavement, or severe physical or mental illness, you should consult with your GP or other medical adviser before undertaking this, or any form of mindfulness training or practice. Running 8 week-courses and drop-in sessions for staff on an on-going basis. Developing a depth of personal understanding to guide and orient your school’s mindful culture. Tailoring the teaching and practice of mindfulness to your school’s own unique needs. Every school is different. Doing the above in a way which is affordable and sustainable. What does the School Mindfulness Lead Residential Training involve? Train to teach .b Foundations, a schools-based adult mindfulness curriculum, to staff, parents and other adults in your school community. Learn how to develop sustainable systems of support for students and adults practising mindfulness in your school community. 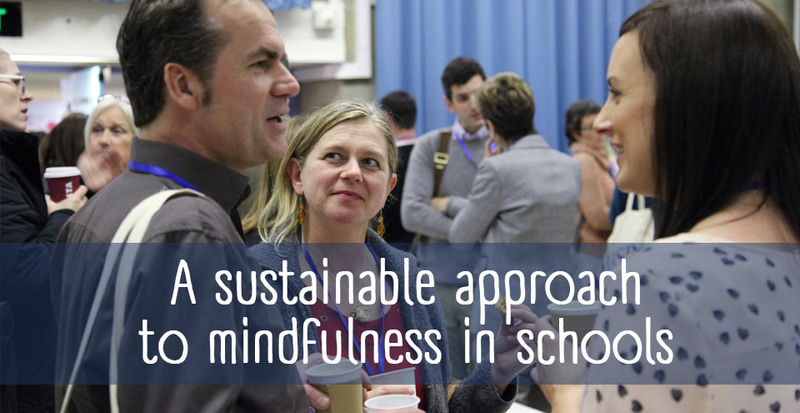 The School Mindfulness Lead Training forms part of a broader pathway of development. For an outline of this pathway, please click here. If mindfulness is to become an established part of the education of children and young people, it is very important that the highest standards of professionalism and evidence-based integrity are maintained. We believe that this is in the interests of all those teaching mindfulness and the adults and young people learning it. Have delivered .b and/or Paws b at least twice to pupils in school. Are employed by, or in long term relationship with, the school community in which .b Foundations will be taught to adults. In order to support yourself as a mindfulness lead, as well as the groups of staff you will be working with, we recommend that you commit to adherence to the UK Good Practice Guidelines for mindfulness teaching. * Please note: This training course is not intended for teachers wishing to become freelance adult mindfulness teachers. If this is your intention, and you are interested in training to teach a schools-based mindfulness curriculum please refer to our three-day Teach .b Foundations training for existing adult mindfulness teachers. How much does School Mindfulness Lead cost? This residential course costs £1,050 + VAT. As a charity, we are able to offer some reduced price places. Click here to find out more.